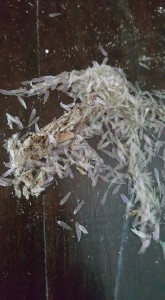 Termites are the most disturbing and unwanted pests that appear in many homes in Singapore. When they infest a home they cause severe destruction and make the home insecure for living. Equipments made of timber such as furniture are the most affected ones especially if the termites are not discovered immediately. As general when we talk about “termite” most of us will refer it as “White Ant”. These tiny size creatures will become very destructive when they invade into the building properties. This leads to great economic losses. 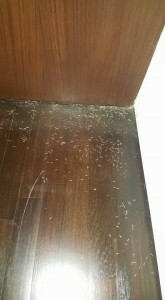 Singapore is one of the countries known to experience high level of termite infestations. This has made people device several ways to control the infestations in their homes. Avoid having mulch in your home. Most people in Singapore have the tendency to have home gardens that have mulch. You need to note that mulch contain cellulose that attracts the termites. If you have to use mulch, ensure that it is placed far away from the foundation of the house to prevent covering vents and weep holes where the termites can thrive. Ensure your home does not have any sources of moisture. It is good to note that there are species of termites that thrive well in areas that have a lot of moisture and depend on the water sources for their survival. Because of this, it is good to ensure your home is free of any broken or leaking pipes. 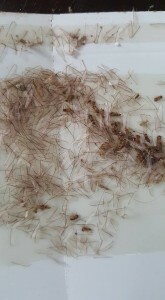 Check for any sources of water in the basement, laundry room or attic because these are the areas that can offer the termites a conducive living environment. The entire home drainage system should be working properly. Presence of sawdust under items made of timber or other wooden structures. Small cracks or wholes in cracks, floor or window frames. Falling patchy wood beams and patchy floors.